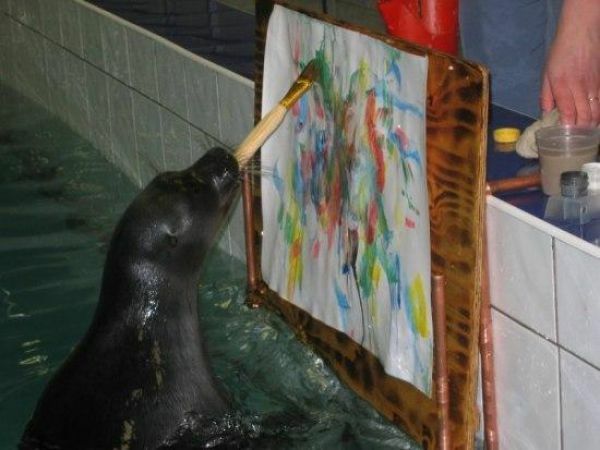 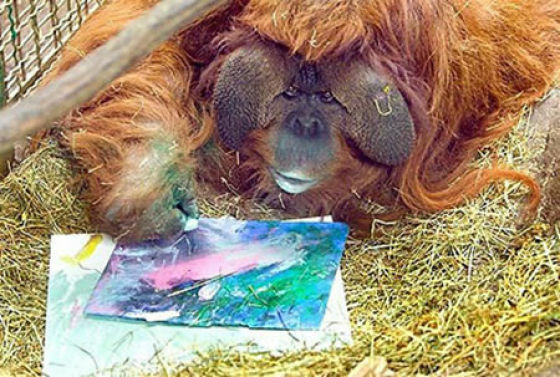 Here’s a little selection of animals who know how to hold a brush and do some abstract art. 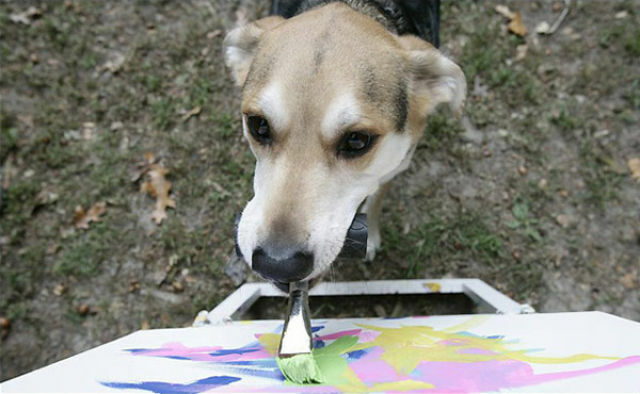 Most of them are trained, of course, but some of them felt an artist inside them, took the brush and started to create their own artworks. 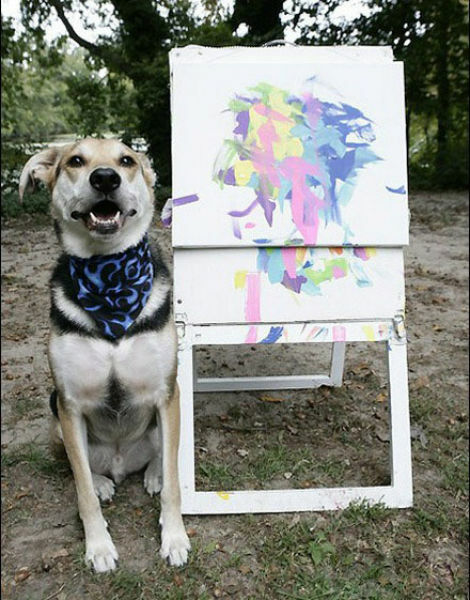 Like this dog Sammy who lives with his owner in Maryland. 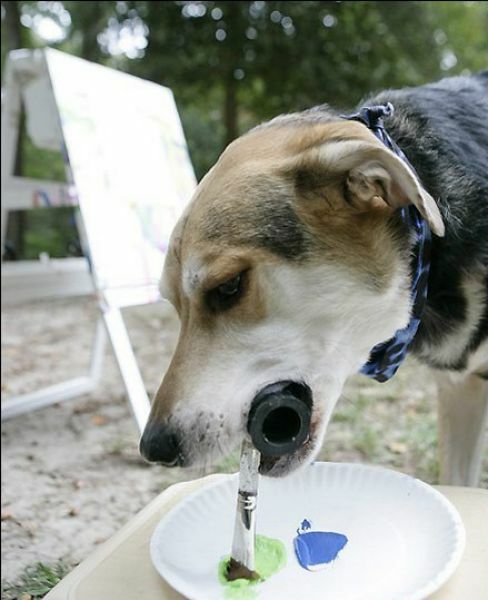 His owner said that Sammy started to paint after his owner attached a brush to his rubber bone. 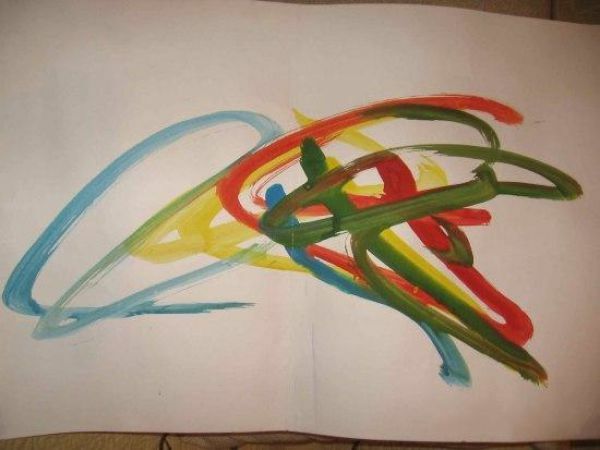 Recently some of his works were sold for $1,700. 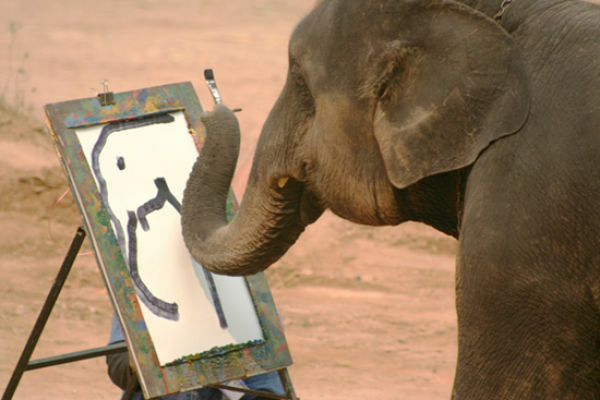 And these are painting elephants from Thailand. 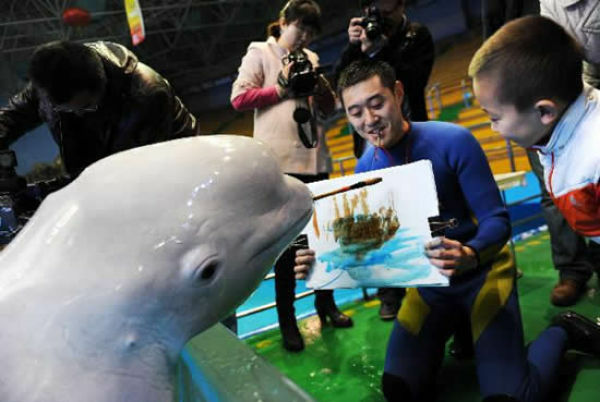 A talented Beluga whale from the Qingdao Aquarium, China. 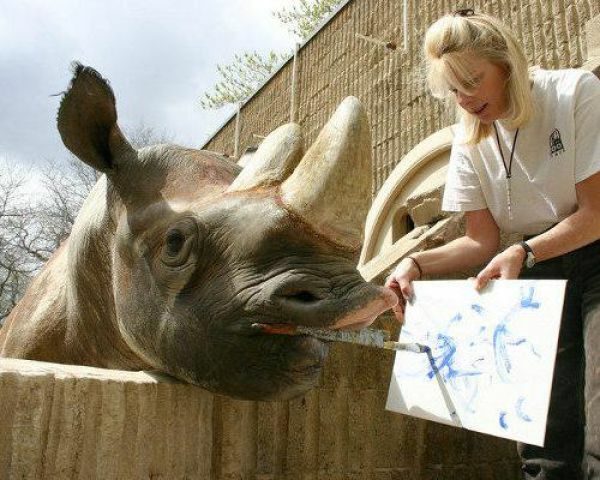 Black rhino from the Denver Zoo. 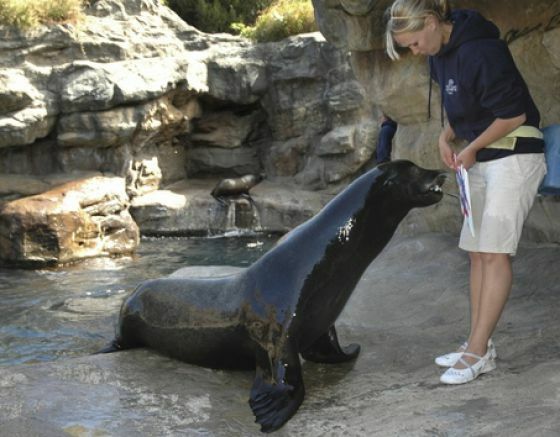 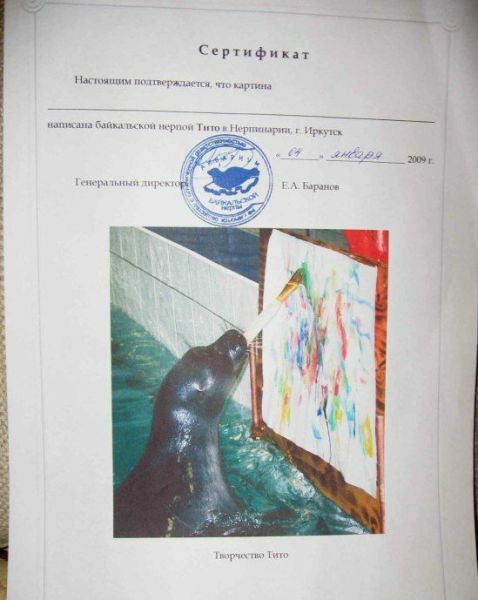 Lea the painting sea lion.